In today’s visually-driven world, designers play a critical role by helping to translate and communicate visual ideas so others can easily consume, engage with, and act on the underlying messages. APU’s Bachelor of Arts in Design Studies will help you create a difference in the design industry through top-level instruction infusing faith, imagination, and design practice. In the program, you’ll have the opportunity to learn the fundamental elements and principles of design along with the creative and technical skills needed to conceive and execute compelling design projects. Gain the ability to transform complex and varied types of information into elegant design solutions that benefit organizations and people. Collaboration is an integral part of nearly all design work, so the design studies major emphasizes creative thinking, problem-solving, and teamwork. These qualities are reinforced through the broader liberal arts curriculum of the B.A. degree, in addition to major-specific courses you will take. In combination, you’ll be prepared as a well-rounded leader with practical skills for the next stages of your design career. 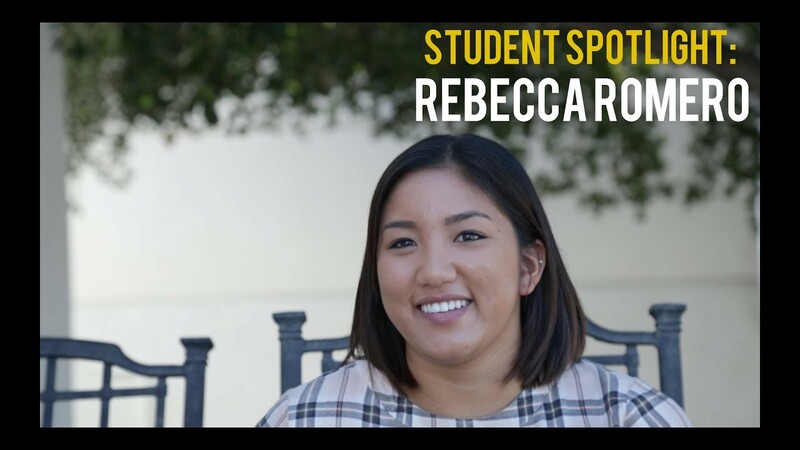 Rebecca Romero ‘17 recently graduated as a design major. Hear her story about what happened when she followed her passion to switch her major and study art and design. Most importantly, the design studies major will help you discern your vocational calling and build an understanding of how to cultivate your God-given strengths and aspirations to positively impact lives. Students are encouraged to model servant-leadership, bringing personal ethics and integrity to the design field and everything they do. Studying at Azusa Pacific also provides access to nearby Los Angeles and the cultural and industry opportunities that exist throughout the region. Explore potential connections in the design, entertainment, and nonprofit arenas while learning within a vibrant arts community led by industry-engaged faculty. A graphic design minor is also available. Creatively solving visual communication problems. Learning and applying new software and media used by designers. Designing communications, products, environments, and services for diverse users. Exploring the role of design in contemporary culture. Reimagining the experience people have with a website, software, or application. Collaborating with a team to create diverse solutions often on a deadline-focused timetable. A talent-based scholarship program is available to eligible incoming design majors. Learn more about the Art and Design Scholarship. [APU’s design program is] inventive, visually distinctive, and spiritually enriching.